Eating seafood isn’t anything special. The sight of Mt. Rainier is still awe inspiring. You can drive from your home to a lake, a river or the Puget Sound in 20 minutes or less. You only visit the Space Needle if you need someplace to take out of town guests. You or someone you know works at Boeing or Microsoft. You can’t make it two blocks without seeing a Starbucks. You know how to pronounce geoduck and know that it doesn’t quack or have feathers. You can taste the difference between Starbucks, Seattle’s Best and Tully’s. It’s not a real mountain unless it has snow and has erupted within the last 200 years. You go to work in the dark and come home in the dark even though you only have an 8 hour workday. You think summer starts in July and winter in September. You’ve used every setting on your intermittent wipers. I hope that with my return, I will work even harder to maintain this neglected blog and update all my friends and loved ones with my recent happenings, thoughts, etc. Facebook just doesn’t cut it when it comes to any issues I’d like to address. With that, I wish a happy new year to everyone! Please continue to support me as I try to revive this ol’ blog. There are many things I want to forget about the 90’s, but there are some things that I can always look back on and remember with a smile on my face. 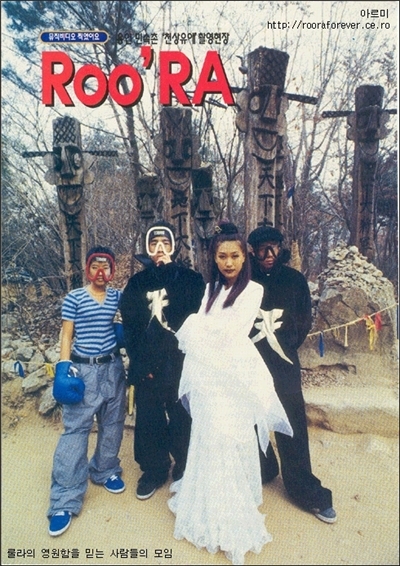 The legendary Roo’ra band brought on a new style, funk and attitude that I still love to this day. Go out there and vote! Believe that we can make a difference. Here is the transcript of the uplifting speech Obama gave after his win in South Carolina. Well, I think I’m taking the right steps to a healthier lifestyle. I’m trying to cut down on coffee (gasp! one cup a day! ), eat breakfast, take smaller amounts of food throughout the day and drink plenty of water and milk. For dinner, I plan to gradually eat only fruits/vegetables and for health, to eventually make use of my 24 Hour gym membership. I didn’t make any New Year’s Resolution for this purpose. I knew that if I set such goals for myself at the beginning of a new year, I can eventually talk my way out of it and quickly lose interest or motivation. And that is why I chose to gradually change my daily habits rather than rushing to change my lifestyle in a week or two. It would be impractical and highly probable that I would fail. I need to first prepare myself mentally and persuade myself of the sheer logic of it all. As long as I see the light at the end of the tunnel, I plan to build a strong-enough mindset to overcome my temptations. So for now, sugary sweets, calories, fat, alcohol? are my enemies! As Valentine’s Day looms ahead, I feel as though my brain has started to pick up on sentimental moments. Like the time I went to Jazz Alley, I noticed an elderly couple locked tight in an embrace throughout the entire show, sometimes taking a moment to whisper something in each other’s ear. To me, nothing exemplifies romance more than an elderly couple virtually inseparable from each other. They exuded such a sense of comfort, security and timelessness together that I felt warm and happy inside. And maybe a little jealous of them. To find someone you can be happy with for the rest of your life; that is something many people may not yet be able to fathom or desire. Absolutely amazing urban graffiti art by Banksy from the UK. His work is an inspiration for everyone to enjoy. Check out this blog entry and his website.